Flowers have the innate ability to brighten up the day of your lady love. This Mindblowing arrangement of 24 Red Roses in a round basket decorated with lots of greenary and white fillers is one of them. 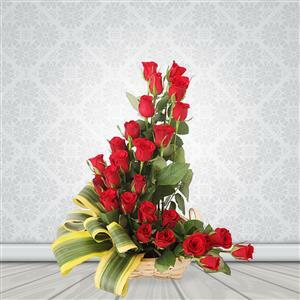 This arrangement is an ideal gift even when it is sent with Gifts to Indore. So wait no longer and send this sensational arrangement to your loved ones in Indore.